Really, nothing more needs to be said, Contraband is an intense movie that keeps you on the edge of your seat and takes you on an emotional ride. 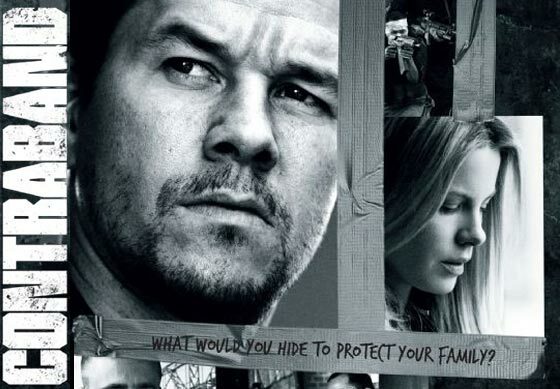 Mark Walberg plays a guy who at one time smuggled “stuff” into the U.S., and was the best at it. He knows all the tricks and has a definite “street smart” swagger. Walberg’s character has since retired, and has gone legit, but because of a situation that his brother in- law has gotten into forces him to make one more score. His journey takes him to Panama to pick up some “funny money,” and smuggle it back into the Port Of New Orleans. All sorts of hell breaks loose and it’s time to strap in! The 2 hours of the movie fly by, and by the time it’s done the viewer is drained emotionally. Granted it’s not going to win BEST PICTURE at the Oscars, but if you like action, and suspense, it’s a must see. This entry was posted in movie review and tagged Contraband, Kate Beckinsale, Mark Walberg. Bookmark the permalink.